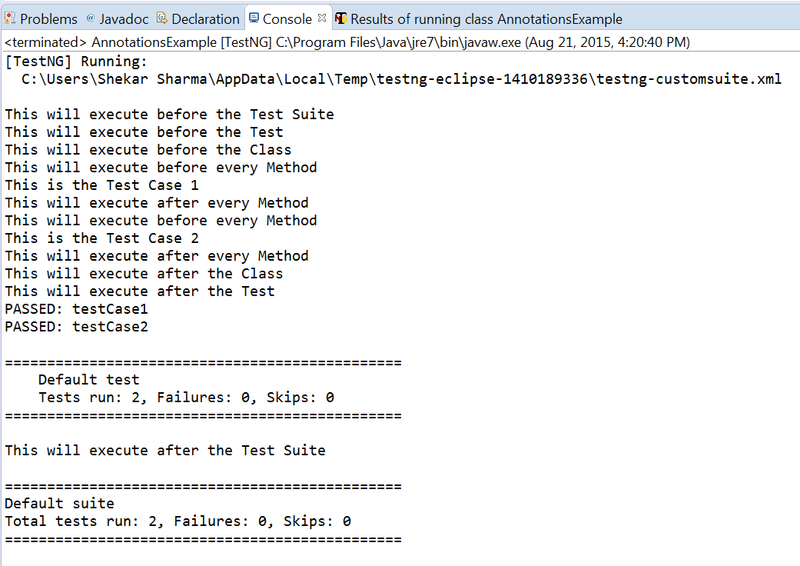 In the previous post, we have seen how to execute a set of test cases using Test Suite. In this post, we will learn about the sequence of annotations. Till now, we have seen the working of @AfterMethod,@BeforeMethod and @Test. Apart from these ,there are so many other annotations as well. There might be some scenarios where you may have to use all or might be during automation framework development. 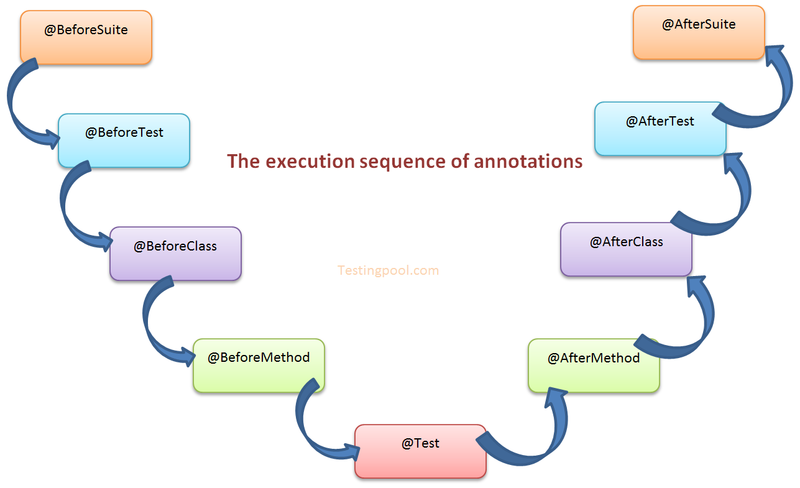 So, it is important to understand the sequence in which all annotations will be executed. Let’s understand with a pictorial presentation first as given below, then we will understand how to use them in a program.